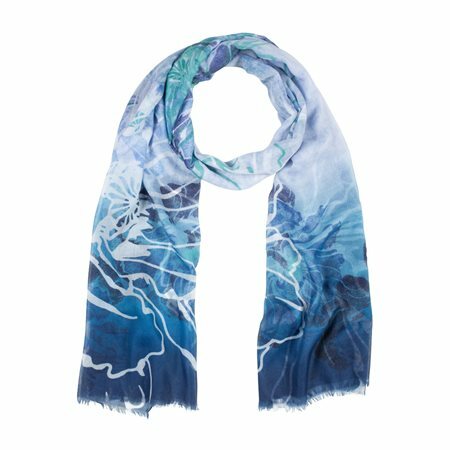 This super light scarf is made of pure viscose and shows a large aquarelle pattern with flowers. The colours are kept tonal, so that the scarf can be combined wonderfully. The open, frayed edges provide a sporty touch. A must for the wardrobe!